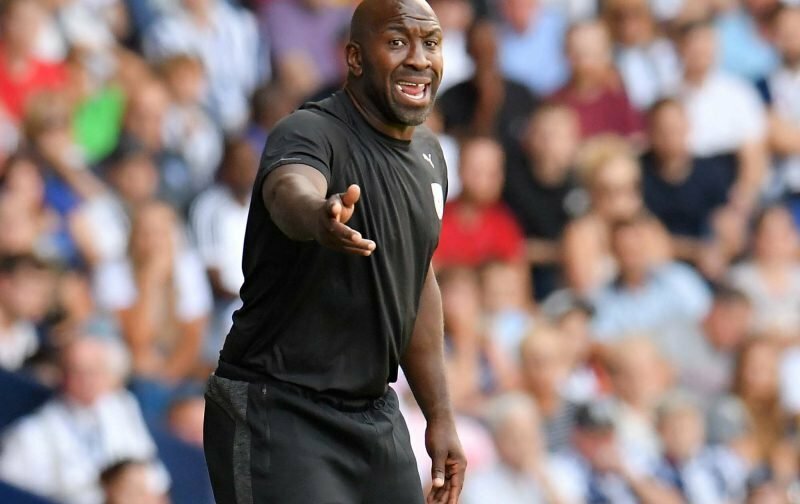 West Bromwich Albion head coach Darren Moore will be backing the boys to get back to winning ways as we face Derby County on Wednesday evening in the midweek Championship clash. On the back of the defeat to Wigan Athletic on Saturday, and especially the manner of the overall performance on the day which was very poor based on our more recent form, fans will be asking for changes as patience continues to run out when it comes to some players, but Moore will find his hand forced as we welcome Frank Lampard to The Hawthorns. Jake Livermore is obviously suspended for the tie following his sending off late on at the weekend following two bookable offences, but there are also injury concerns to contend with. Craig Dawson was substituted in the 49th minute of the second half and replaced by Tosin Adarabioyo after picking up a knock in the opening 45 and being unable to run it off, and Gareth Barry remains rated as doubtful at the time of typing. The former England midfielder missed out on Wigan completely with a minor injury that wasn’t explained, but both will face late fitness tests ahead of the game. It’s unknown at this stage whether Matt Phillips will miss again with his muscle injury, but Bakary Sako may come into contention after another poor showing in the eyes of many fans by Tyrone Means – but Sako will hardly inspire confidence for a defensive role. We’ll have to see what the late assessments on Wednesday bring.